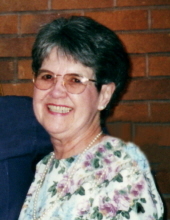 Donna Mae Daskam, 83, of Hayden, Idaho passed away on January 25, 2019. Donna was born on March 2, 1935 in Spokane, Washington to Floyd and Amelia (Finkbeiner) Goodpastor. Donna has one brother, Virgil Goodpastor. They both grew up in Spokane, attending local schools. Donna was an accomplished pianist and organist, winning many awards. She did clerical work for several different agencies. While employed with Kaiser Aluminum in Spokane Valley, she transferred to southern California. While there, she became employed with Children’s Hospital of Orange County where she accompanied the Lennon Sisters on the piano during their annual visits. She met her husband, retired Captain Walter Daskam, USMC, while there. They became man and wife, marrying on June 4, 1983, moving to Spokane in 1984. She then was employed with Music City as a piano and organ instructor. Donna and Walt both retired in 1997, moving to the Coeur d’Alene area, and then moving to Leisure Park in Hayden, Idaho. She and Walt loved to travel, especially yearly trips to Honolulu, Hawaii. Donna and Walt were active members of Trinity Lutheran Church in Coeur d’ Alene as well as Walt being a lifetime member of the Benevolent and Protective Order of Elks. In lieu of flowers, charitable gifts may be given to the Sacred Heart Children’s Hospital, 101 W. 8th Ave., Spokane, WA 99204 (washington.providence.org) in Donna’s name. Donna is survived by her husband, Walt, and brother, Virgil and his family. A viewing/visitation will be held from 3:00 to 6:00 PM on Thursday, January 31, 2019 at Yates Funeral Home – Coeur d’ Alene Chapel, 744 N. 4th St., Coeur d’ Alene, ID. A funeral service is planned for 1:00 PM on Friday, February 1, 2019 at Trinity Lutheran Church, 812 N. 5th St., Coeur d’ Alene, ID with a graveside service following at Coeur d’ Alene Memorial Gardens. To send flowers or a remembrance gift to the family of Donna Mae Daskam, please visit our Tribute Store. "Email Address" would like to share the life celebration of Donna Mae Daskam. Click on the "link" to go to share a favorite memory or leave a condolence message for the family.